Following the exciting news earlier this month when we announced that we were supporting the annual NOSCAs, ‘Norfolk Safer Community Awards’, the day eventually came when our Chief Executive Peter Mottershead was delighted to present the prize to the Safer Neighbourhood Team of the Year. 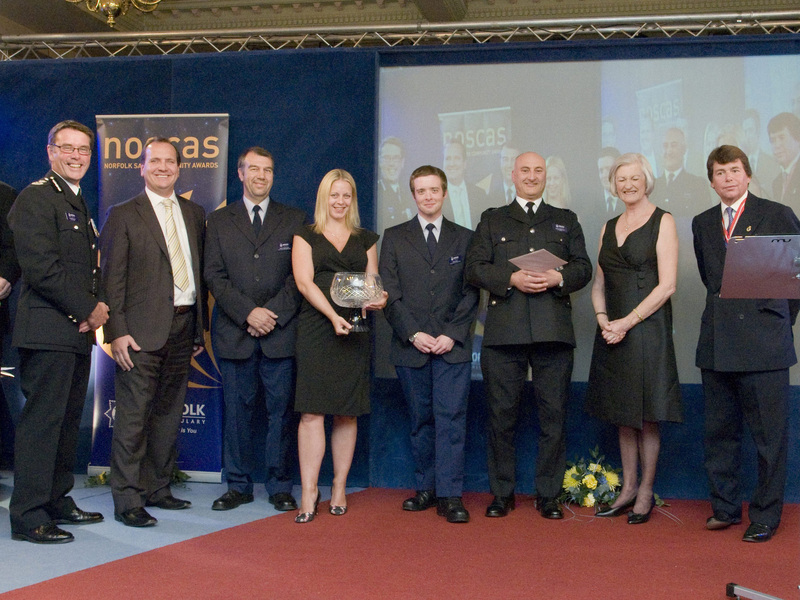 This year’s winners were Loddon Safer Neighbourhood Team. The award signifies their continuing dedication to working towards reducing high levels of anti-social behaviour and petty crime within parts of Norfolk. Peter before the presentation said ‘Anglian Home Improvements is delighted to continue our long-standing support of the work of Norfolk Constabulary. We are committed to enhancing the living environments of our customers and are extremely proud to sponsor the Safer Neighbourhood Team award which recognises the work of highly deserving community officers in the county’.